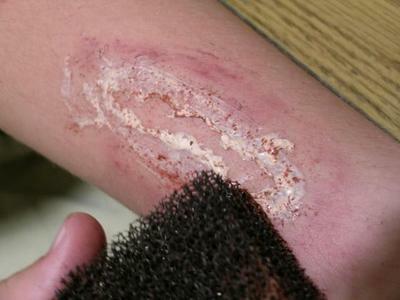 Sometimes cosplayers need to make fake wounds which look alike being a war or fights with others, especial when they plan to cosplay zombies or other horribe animes. 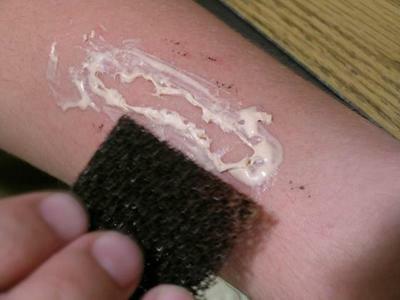 So today , i will share you some tips to How to Make Fake Wounds or Scars And Scratches For Cosplay , this is a really nice cosplay makeup tutorial, and you can use this simple methord to make any fake wounds you like ,XD . 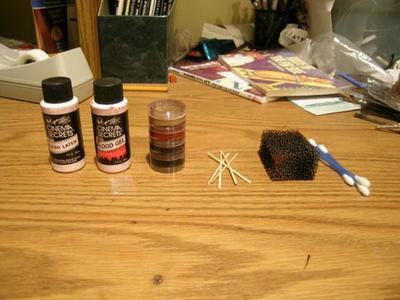 Required materials: red ink, scouring pad, white glues, toothpicks (thin patterns are okay) and cotton swabs. 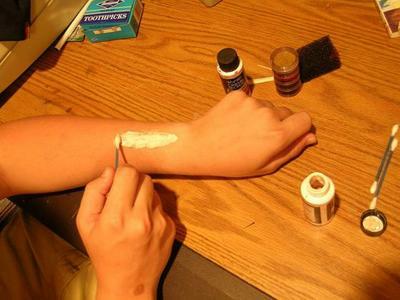 1.Draw the wound scope by white glues. 2.Wait until white glues begin to dry. 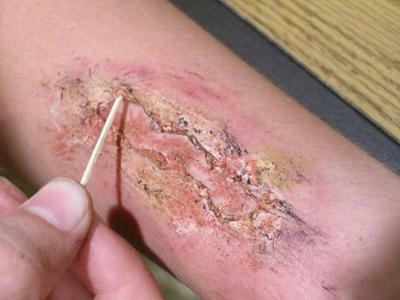 3: Scatter the soon-to-dry white glues by toothpick to look like scars. 4: Scatter the spare white glues by scouring pad. 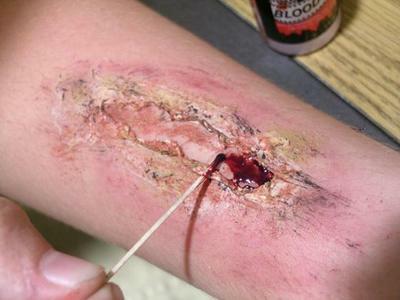 5: Dip the cotton swab slightly into the red ink (just slightly) and daub around the wound to make bruises. 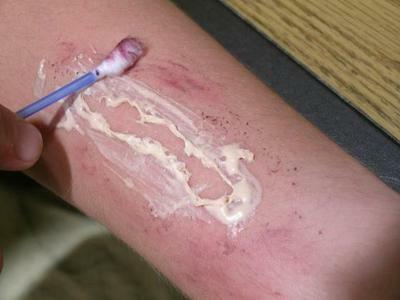 6: Dip the scouring pad into the red ink (slightly too) and daub around white glues to strengthen the bruise look. Tip 7: When white glues and red ink begin to dry, half work has been done. 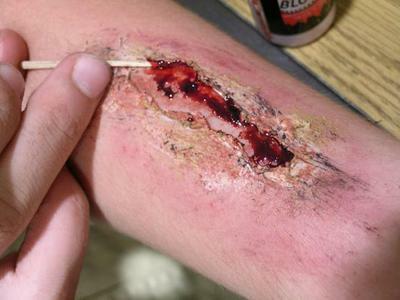 Tip 8: Lift some of inner white glues by a toothpick to make the desquamated wound look. 9: Daub red ink into the lifted white glues. 10: Daub the ink unevenly; the wound will seem more lifelike. 11: Wait until the ink dries. Finally a wound has been made successfully. 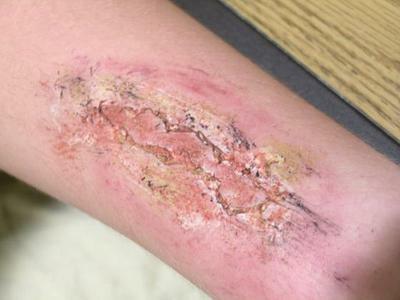 Hey, do you have any ideas on to make a scar? Like an aged scar? I want to be able to do this costume and the person has a scar going across his face. Like his left eye has an eyepatch and from under the eyepatch, it runs straight across over the bridge of the nose and to the other side of his face. So, yeah… Any ideas on how to do that? ._. 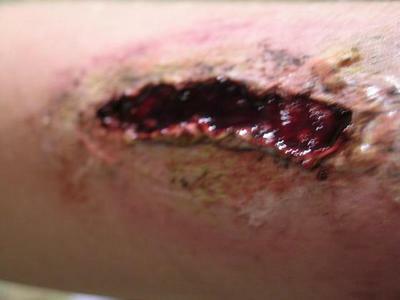 why not follow this tutorial, and if you want to make a age wound or scar, you should do some makeup. quick qustion: how do i clean/remove it? 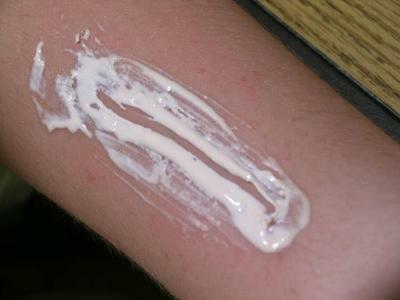 Really easy,all you have to do is just peel it off and you can also loosen it by washing with warm, soapy water.